In the Spring of 2010, two young men in Southern California decided to quit their jobs and start their first businesses. They were very much alike, these two men. Both graduated from the same high school. They played on the same football team, were smart and driven, and thoroughly capable. Recently, these men bumped into each other at a marketing conference in San Diego. They still had a lot in common. Both were still living in Southern California. And both, as it turned out, owned online businesses selling apparel and jewelry. But there was one major difference. One of the men was managing a two-person team and cutting his expenses to make payroll. The other sold $40 million in product over the last year and was featured in Forbes Magazine. Have you ever wondered, as I have, what the difference is between online businesses that just get by and ones that explode with growth? It isn’t always about capability or dedication. It isn’t that one founder wants it more than another. More often than not, it has nothing to do with the quality of the products sold. The difference lies in whether or not they’re able to run Facebook and Instagram ads profitably, reliably, and at scale. Why Won’t Your Campaigns Scale? Until now, if you wanted to scale your business with Facebook or Instagram ads you had two choices: either put in months of effort to learn how to run the ads in-house, or outsource your advertising to an agency. Let’s be honest, you don’t have months of time to become a Facebook ads pro. We know how hard it is to keep up with changing Facebook algorithms. To understand what is working now, you need to be in ads manager every single day, and you’ve got a million competing priorities. Unfortunately, for too many businesses putting growth in the hands of someone else is a complete disaster. Once you’ve handed the keys to your business over to an agency, how do you really know they’re doing a good job? Advertising agencies are incentivized to spend more each month, not to drive profitable growth. How do you know you’re not spending more than you should for mediocre results? If you can’t confidently answer that question, you’ve got a problem. We don’t believe you should have to blindly outsource your ads to an agency or become a self-taught Facebook ads Guru to grow your brand with Facebook and Instagram ads. We know there’s a better option. 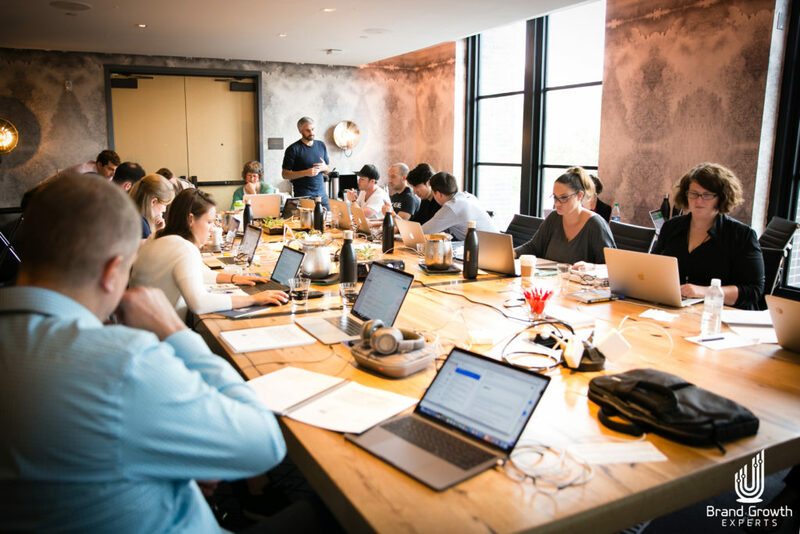 The Facebook Advertising Intensive is the only workshop specifically designed to help ecommerce business owners rapidly scale their advertising – in just two and a half days. We believe one great idea executed is worth 1000 ideas left incomplete. That’s why we don’t sit around talking about campaigns that could work for you. During our Intensive, we’ll build and deploy ads, launch campaigns, review successful ad creative and copy, and dive into Facebook’s full suite of advertising tools and metrics. Why spend thousands of dollars to attend a marketing conference to hear what’s working for other people, when you can implement campaigns yourself with help from the best in the business? The host of the Intensive, Andrew Foxwell, is a highly sought after ecommerce Facebook and Instagram ads strategist. He and his wife Gracie personally manage over $10 million in Facebook and Instagram ad spend, and he’s been the secret weapon behind many of the internet’s best growth stories (including Pura Vida Bracelets, Blenders Eyewear, and Kind Snacks). Much of what you’ll learn at our Facebook Intensive can be found nowhere else. 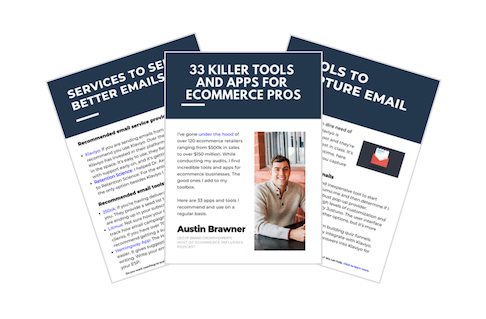 You’ll get an inside look at what’s working for the fastest growing brands in the country, and then you’ll install the same system for your business. 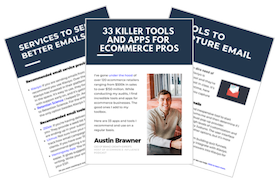 You’ll leave with your entire FB/IG lead generation system built out…all you’ll need to do is press play. 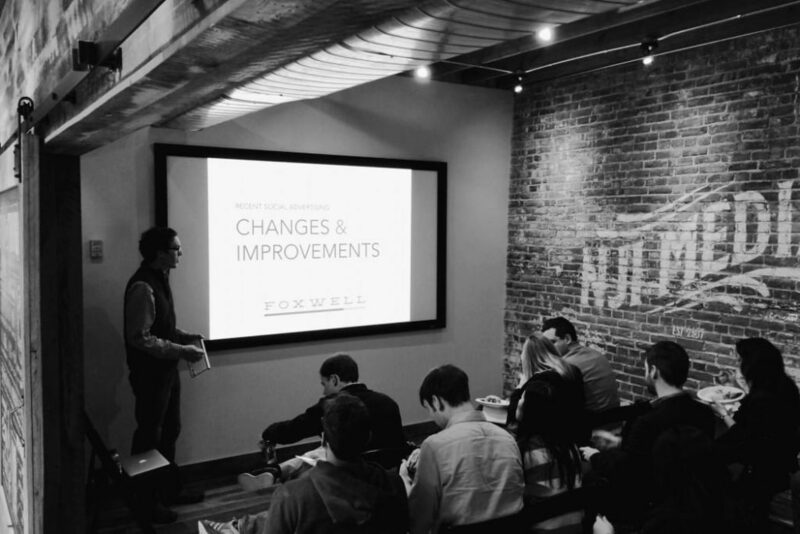 Our next Facebook Advertising Intensive is Feb 1st – 3rd in Austin, TX. Due tothe hands-on nature of the event, the Intensive is application-only and limited to 18 businesses. If you feel like you’re ready to scale your business with Facebook and Instagram ads, click this link to fill out your application. Once we receive it, we’ll reach out to set up an introductory call to determine if the Intensive is right for you. Here’s our iron-clad guarantee: we vet each applicant to make sure they’re a perfect fit for the Intensive. If you don’t feel like you’re in the right room at any time during the first day, stand up and hand in your materials and we’ll give your money back + $500 to cover your travel expenses. What Will 2018 Bring For You? About those two young men, I mentioned at the beginning of this post: the ones who grew up together and started ecommerce businesses in the same niche. What made their businesses and lives different? One of them learned to run profitable advertisements on Facebook and Instagram at scale. The other one didn’t. Make sure you don’t make the same mistake. Apply today to join our next Facebook Advertising Intensive. I can’t promise advertising success will instantly be yours if you attend the Intensive. But I can guarantee if you don’t take action and apply, your results will definitely stay the same this year as they were last year. And let’s be honest, we both don’t want that to happen. What’s holding you back from having success with Facebook and Instagram Ads this year?